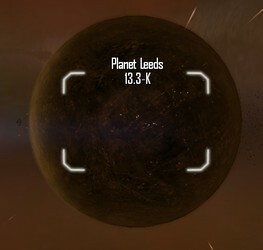 Soon after settlement, Bretonia needed raw materials, and Leeds was quickly recognized as the most resource rich system under Bretonian control. Companies were formed and given royal charters -- near carte blanche -- to develop the system in any way they saw fit, while settlers were handed generous incentives to move to Leeds and serve as the workforce. Over the centuries, however, unchecked industrial progress has led to significant environmental pollution as exemplified by the omnipresent smog clouds. Bretonia Mining and Manufacturing (BMM) operates the bulk of the planetside mining, smelting, and manufacturing facilities, while Bowex handles transportation of finished goods throughout Bretonia.